Color choices - Available in 8 upholstery colors. 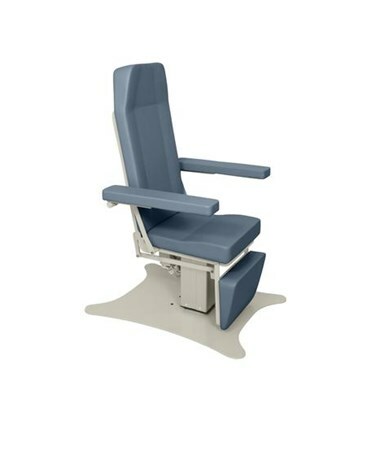 The UMF Medical 8678 Power Phlebotomy/ENT Chair is very easy to use and comfortable. Using the two-function hand control, the seat height and the backrest angle are quickly adjustable. The convenient auto-positioning allows for auto-adjustment of the armrest and leg sections to match the backrest angle. This way your patients will be comfortable as you adjust the chair to whichever height and angle is good for you! The Power chair boasts a vacuum-formed UMF Ultra Comfort Seamless Top, which will not absorb any contaminants, spills and is always comfortable. The Phlebotomy chair has a 375 lb. (170.1kg) weight capacity, making it a sturdy, solid piece. The following options, if desired, are available to select, just above the add to cart button on the top right side of this page. Please click on the drop down and select your desired product variation. Also, please note that there are additional charges for the following available additional options. If an option does not appear on the drop down, please note it in the "Special Instructions" area at checkout. In that case, the order can not be processed online and someone will contact you to complete the order. 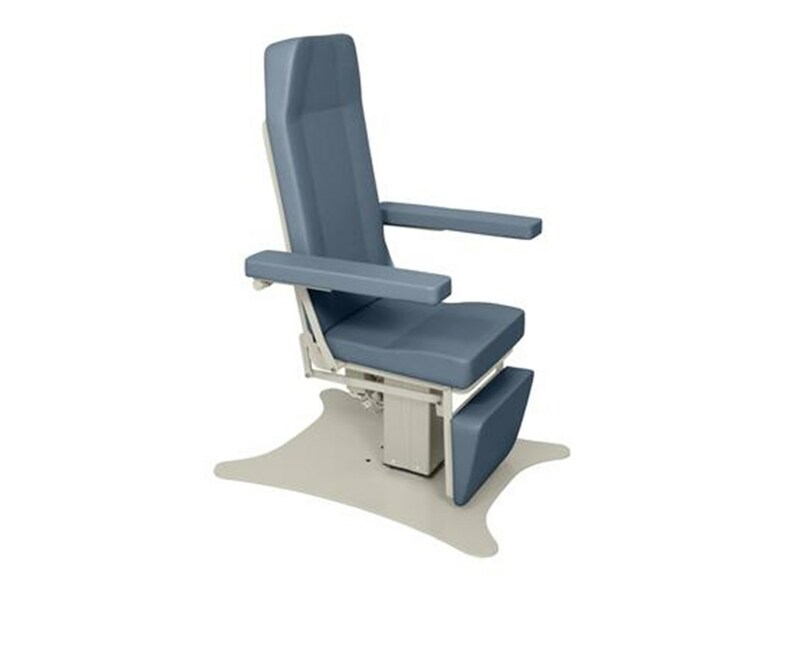 UMF Medical as well offers a Fire Retardant Foam (CAL133) option for your Power Phlebotomy/ENT Chair. It is indented to provide extra safety to the product by helping stop or slow the spread of the fire in the case of an accident. Seat Height 19" - 35"